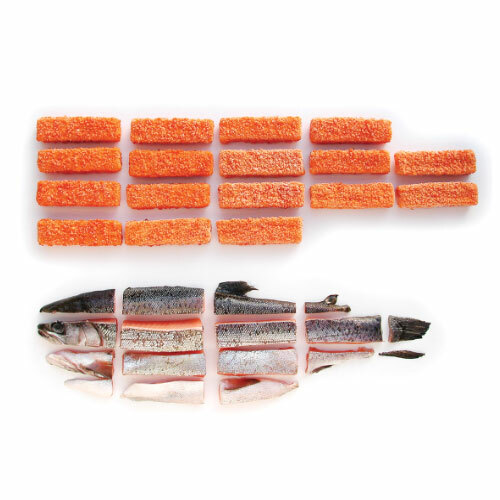 Even if the appearance of the fish finger is understandable in production and packaging terms, actually preparing it in a pan raises many questions. Ordering the rectangular fish finger in a round pan is equivalent to making a square out of a circle. Not to mention the impossible task of browning the edges and ends. As fish fingers have this traditional form the pan is forced to fit the dictate. 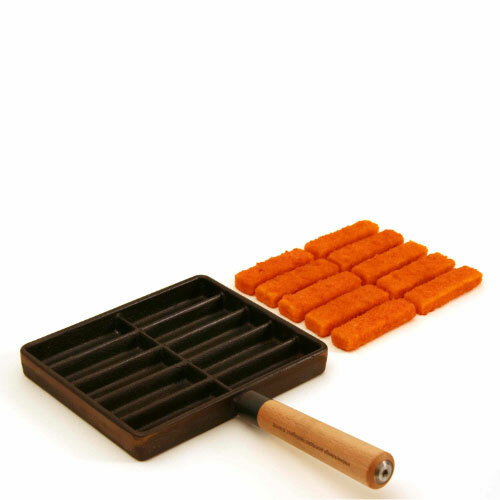 Ten Fingers ensures orderly, golden brown, all-round fried and tasty fish finger pleasure.